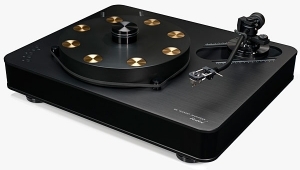 Although LPs remain, for me, the high-end medium of choice, I'm not terribly interested in today's high-end record players. 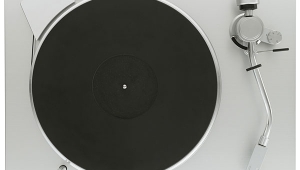 Most of them, from the 1980s through the present, have been soulless, uninspired, me-too products that utterly fail to communicate the presence, momentum, and punch of recorded music. And in certain waysexpense, complexity, size, cosmeticssome have been, quite simply, ridiculous. But a relative few have seemed the products of original thinking. 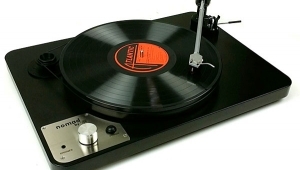 And most of those have stood the test of time: The ">Well Tempered Turntable. 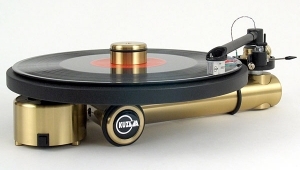 The Rega Planar 9. The Roksan Xerxes and its descendants. 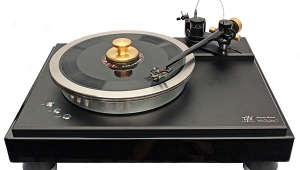 The VPI Scout and its variants (footnote 1). 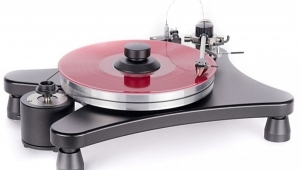 If only for the originality and sheer quality of its design, I wonder if the dps turntable from Bauer Audio of Munich, Germanythe model name is an initialism for its native-language descriptive, der plattenspielermight also deserve a place in that select group, far from the overpriced, overstyled, underengineered norm. Near the end of last year, after a mildly agonizing wait, I received a sample of the dps from US distributor Ayre Acoustics and set about learning the answer. 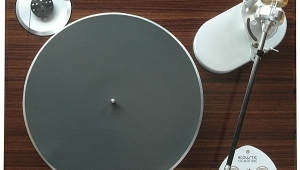 The dps turntable hides a number of surprises under an outwardly simple skin. The bottommost portionlet's call it the plinthis a precisely cut and polished sheet of aluminum about 0.4" thick. Adding to the mass is a stainless-steel motor housing fastened rigidly in place at the left-front corner; together, it and the plinth weigh a little over 15 lbs. That aluminum plinth is also home to three shallow PVC cups, on threaded acrylic posts, that the user can raise or lower in order to level the next layer up. All three cups are filled with elastomer buttons, which act as supporting springs for the next layer. 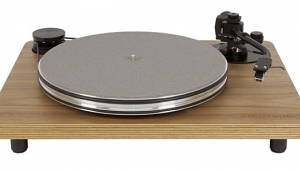 The middle portion of the dps is a laminate of six separate sheets: two layers of a lossy damping materialdescribed as an anti-vibration foilsandwiched by three relatively thin sheets of Baltic birch plywood, with an even thinner sheet of cork bonded to the underneath of the uppermost surface. The laminations are hidden from view by a serenely pretty hardwood frame, although the layer of cork stands very slightly proud of it, by design. 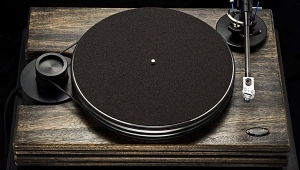 That thin sheet of cork serves to support the dps turntable's uppermost layer: a sheet of shiny black acrylic, beautifully made, and pierced by precisely milled mounting holes for the platter bearing and tonearm, as well as an opening through which the top of the motor pokes. 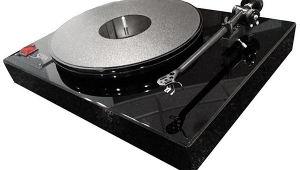 The acrylic top sheet is fitted with a substantial alloy bearing well, with an inside diameter of 30mm. At the center of the well is a stationary spindle 10mm in diameter, machined from a tungsten alloy, recessed on its top end to receive a 3mm ruby thrust ball. A multi-tiered polymer hub, 25mm in diameter at its largest point, slips over the spindle and contacts the thrust ball, becoming the sole moving part of this inverted, zero-clearance bearingbut there's a twist: The hub also contacts the bottom of the well through a pliant O-ring. That, along with the presence of a viscous silicone oil in the bearing well, creates considerable resistance. That seems wrong, of courseuntil you consider the other half of the dps drive system: a three-phase AC synchronous motor with exceptionally high torque. 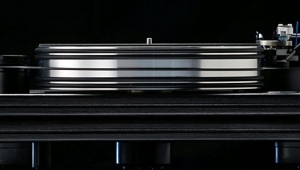 That motor, custom-made for dps and and topped with a well-machined polymer pulley, remains in full-power mode as it works to overcome the constant friction in the platter bearing. In the process, speed stability, as governed by the motor's external power supply, itself becomes both a constant and a fixed element, irrespective of platter inertia. 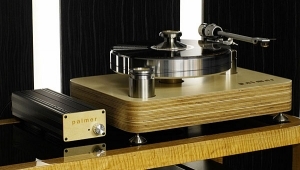 Contrast that to a system in which the power delivered to a synchronous motor is reduced after startup, as the platter and bearing spin more or less freely: From that point forward, the power supply, no matter how cleverly designed, can merely correct rather than maintain the speed. 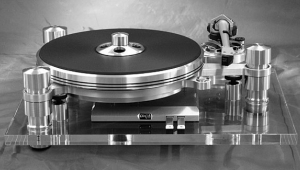 Looked at another way: The combination of resistive bearing and high-torque motor confers the benefits of a high-mass platter, but without the massand thus without the consequent penalty of stored energy. That design innovation allowed designer Willibald Bauer to select light, rigid, and altogether vinyl-like acrylic as his platter material, with all the attendant benefits. 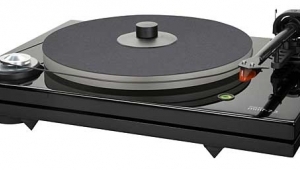 So we accept that the platter bearing and motor of the dps turntable comprise a single element of the designyet even that falls short of the full truth. The third, equally crucial part is a high-quality power supply for the motor, without which the above would be of little consequence. And this is where Bauer's US distributor, the manufacturer Ayre Acoustics, arrives on the scene. 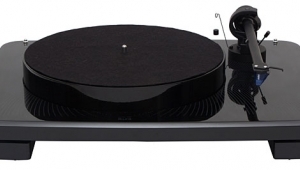 Charles Hansen of Ayre first saw the dps at a show in Frankfurt a number of years ago and was thoroughly impressed, especially with the upmarket version, in which the three-phase AC motor is driven with a custom three-phase power supply. Yet the upmarket power supply adds significantly to the price. So, to allow the dps to be sold in the US for more or less the same price as in Europe, Willi Bauer agreed to let Ayre create a three-phase supply for a North American edition of the dps. Hansen and his team had to start with a clean slate. Footnote 1: I would add the seemingly intelligently designed Simon Yorke, except that I've never heard one in my home, or in a music system that was at all familiar to me. 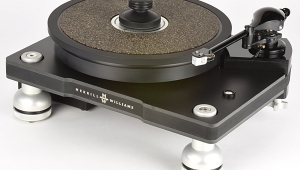 US distributor: Ayre Acoustics, Inc.